Regular drywall is a huge "no-no" material for the wall behind your wood stove because it lacks sufficient fire-retardant properties. 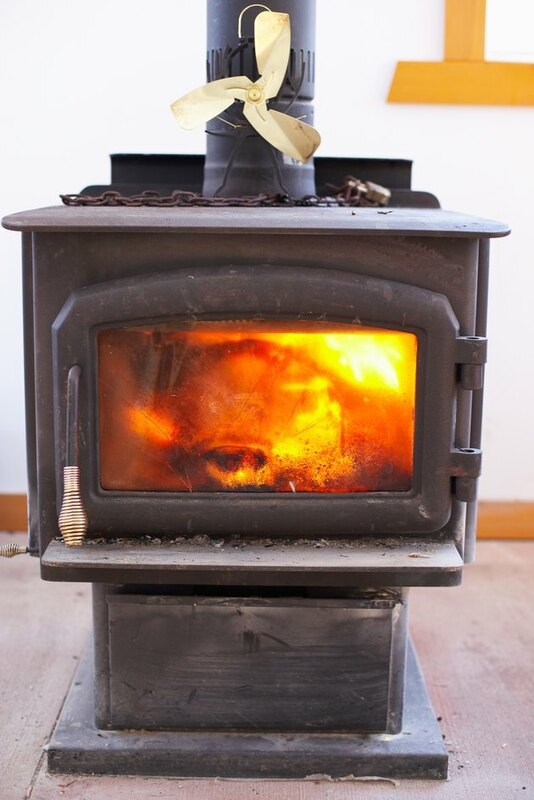 Most wood stove fires are caused because combustible materials are placed too close to a hot stove. Only use drywall that displays a UL (Underwriter's Laboratory) label, certifying that the drywall is fire-retardant and safe to use behind your wood stove. 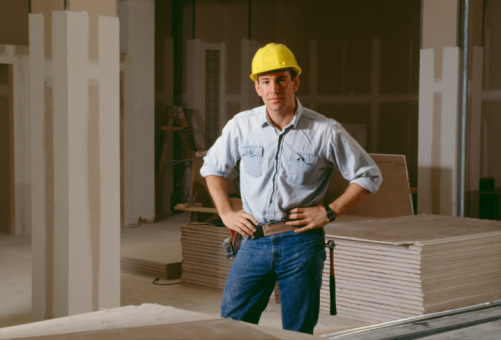 Check local building codes before installing drywall. If heat reaches common drywall, a fire can start on the wall behind your stove, move to the interior wall space behind the front-facing wall and then spread to other areas of your home rapidly. When drywall is labeled as Type X or Type C, it has been fire-rated by an independent testing laboratory — such as UL — to certify that the drywall meets fire performance requirements and standards as set by the American Society for Testing and Materials (ASTM). Both types are not only used for the wall areas behind wood stoves, but are also standard requirements for ceilings and garage and basement walls that connect to "common" living areas such as the living room and kitchen where other heat-generating appliances are housed, including furnaces, water heaters and cooking stoves. Fire-rated gypsum drywall has a reinforced center core made of fiberglass. The fiberglass core area has a 21-percent concentration of water and additives such as calcium sulfate, which create a fire-resistant barrier. If the wall is exposed to fire, the water content in the fiberglass core is slowly released to create steam to prevent heat from spreading and converting to fire so the wall holds up longer. Type X drywall is a common material used for wood stove installations. Type X is a gypsum-based drywall that is 5/8 inch thick and is installed on each side of a 2-inch by 4-inch wood stud, spaced 16 inches on center or spaced 24 inches on center. between studs. Type C is another gypsum-based drywall that is fire-rated. However, Type C has more fiberglass and other additives than Type X. Type C comes in both 1/2-inch and 5/8-inch thicknesses. If you want to use a high-rated drywall for fire-rated retardation properties, Type C would be a good choice. It can be installed with the same stud spacing as that used for Type X. Refer to your owner's manual for the minimum amount of clearance space needed between the back of the stove and the wall that faces the back of the stove, and for the interior wall space behind the front-facing interior wall. This will vary from one model to the next. Your local building code office will also have information on any applicable zoning ordinances and codes that you need to adhere to when installing a wood stove, and may require specific types of materials to be used for the wall area behind a wood stove.